For the former Texas & Pacific station currently served by Amtrak, see Mineola station (Texas). Mineola station, where a long-standing sign company welcomes commuters to the village of Mineola. Mineola is a station on the Main Line of the Long Island Rail Road in the village of Mineola, New York. All trains for the Port Jefferson, Ronkonkoma, and Oyster Bay branches run through this station, as well as a few for the Montauk Branch. As of May 2011, 145 trains stop at this station every weekday, more than any other station east of Jamaica. It is the eighth-busiest station on the LIRR in terms of weekday boardings, with 10,348 boardings per day in 2006. Mineola lies in the center of the town of the same name. Specifically, it is situated to the west of Mineola Boulevard between Station Road to the south and Front Street to the north. As one of the LIRR's busiest stations and near the center of Nassau County, the Village of Mineola Planning Committee created a master plan for the town meant to encourage transit-oriented development within a few blocks' radius of the station. Much of the plan involves creating links in the surrounding street grid, streetscape improvements, and pedestrian zones. The Long Island Index, which aggregates data and plans about the island, has listed Mineola as one of the most high-profile targets for smart growth, as of 2010 noting that the town is about halfway through the process of revitalization. The Nassau Tower and substation in front of the pedestrian crossing. Mineola station was originally built on the south side of the tracks in 1837 as "Branch station", then later renamed "Hempstead Branch station" when the Long Island Railroad was expanded to Hicksville. The station was renovated in June 1872, but a second depot was built between May and June 1883. This station was razed in 1923, and the third one was relocated to the north side of the tracks on September 22, 1923. The enclosed shelter was built at the old station house's location (See below). A reconstruction project took place in 2001. With its connection to the Oyster Bay Branch, the Mineola station has always been a major railroad junction, but even more so in the 19th and much of the 20th Century. 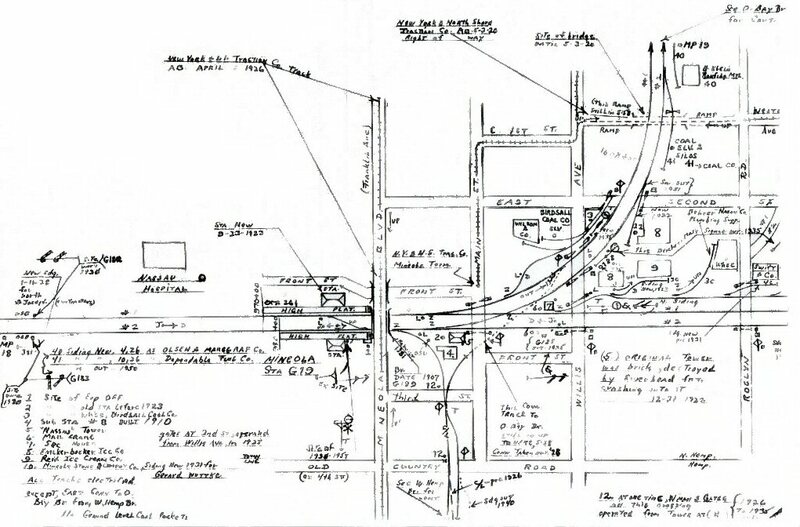 On the south side of the station, a wye existed between the power sub-station for a line that connected the West Hempstead Branch with the Oyster Bay Branch. Sometimes referred to as the Garden City Branch, the east branch of this wye began at Third Street then crossed Main Street, then the main line itself before connecting with the Oyster Bay Branch until it was eliminated in 1928. The rest of the line was eliminated in 1966. As part of the LIRR third track project, infrastructure around the Mineola station will be renovated starting in late 2018. Both platforms would be replaced, and Platform B will be relocated. Canopies, benches, signage, and security cameras will be installed. The new platforms would be heated to facilitate snow removal. Amenities such as Wi-Fi, USB charging stations, artwork, and digital information displays would be included in the renovation. The construction of a new parking structure at Harrison Avenue will begin in fall 2018, followed by the start of reconstruction on the station itself in early 2019. The Second Street parking lot will also be expanded, and a park and ride parking lot at Main Street would be built. The dangerous grade crossing at Main Street would be closed and replaced with a pedestrian overpass with two elevators. The construction of the third track would also require the replacement of a substation at the intersection of Main and Front Streets. Mineola has two side platforms and two tracks, both slightly-offset to accommodate 12 railway cars. The main station house is on the north side of the tracks, at Front Street and Mineola Boulevard. The station is wheelchair accessible and has a crossover and a grade crossing for pedestrians at the east end. A smaller enclosed shelter is on the opposite (south) side of the tracks. The Oyster Bay Branch splits away at a grade crossing just east of the pedestrian crossing. Nassau Inter-County Express, or NICE (formerly MTA Long Island Bus), operates bus service to the Mineola Intermodal Center on the south side of the station. Prior to the opening of the intermodal center on October 16, 2006, bus stops were located at Third Street, a block away from the station. Six NICE routes stop there, as well as local taxicab services. The transit center, diagonally across from the station, as seen in June 2009, while still run by the MTA. ^ "LIRR Timetable for Mineola" (PDF). Retrieved May 14, 2011. ^ "Comprehensive master plan for the Village of Mineola" (PDF). Village of Mineola. November 2005. Retrieved July 17, 2011. ^ "LIRR Station History (TrainsAreFun.com)". Archived from the original on May 26, 2017. Retrieved March 23, 2011. ^ a b c "Capital Program Oversight Committee Meeting June 2018" (PDF). Metropolitan Transportation Authority. June 18, 2018. p. 27. Retrieved June 17, 2018. ^ a b c "Mineola Station Enhancement". A Modern LI. Retrieved 2018-07-04. ^ "Mineola Harrison Avenue Parking Structure". A Modern LI. Retrieved 2018-07-04. ^ "Mineola 2nd Street Parking". A Modern LI. Retrieved 2018-07-04. ^ "Mineola Main Street Parking and Drop-Off". A Modern LI. Retrieved 2018-07-04. ^ "Main Street Grade Crossing Elimination". A Modern LI. Retrieved 2018-07-04. 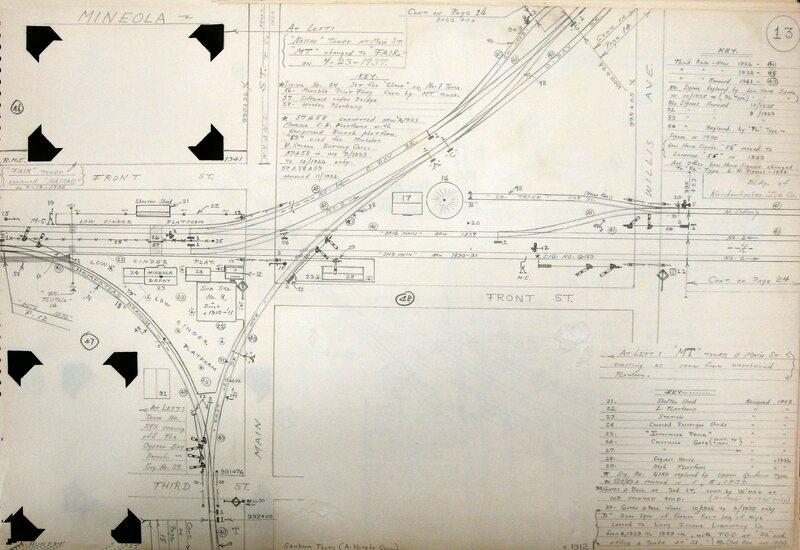 ^ "Mineola Substation Replacement". A Modern LI. 2018-03-16. Retrieved 2018-07-04. Wikimedia Commons has media related to Mineola (LIRR station).